What Is Soft Washing Pressure Washing? In the pressure washing, power washing, and roof cleaning industry, soft wash pressure washing is a phrase that is being used much more these days. What it means, is that you are performing exterior cleaning using a much lower amount of pressure than most pressure washing companies are associated with. Many of the pressure washing companies these days fall under the soft washing pressure washing category…and if they don’t, do not hire them! If a company cannot safely adjust their pressure properly and clean your property without using soft washing methods, you do not want them cleaning your property. Most people know soft wash pressure washing as cleaning a given object using a psi of 500 or less. 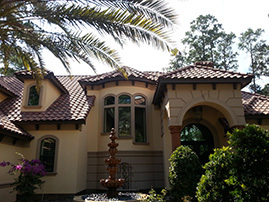 When cleaning a roof, most people consider this low psi cleaning as non-pressure cleaning. 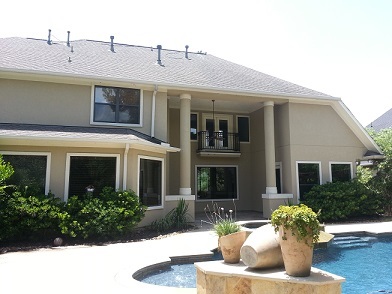 There truly is no such thing as non-pressure cleaning, but with roof cleaning, the main objective is to wash away all the mold, mildew, moss, and algae away from the shingles without damaging the shingles themselves. With the roof cleaning procedure, we could actually use a garden hose to wash away these fungi, but it would take an extra 3 to 5 hours to do so. This is why we use a special tool designed to wash this material away safely, and quickly. With the tools we use, you can see that the so called pressure coming out of this tool is no more than that of squeezing your thumb over the end of a garden hose. With the phrase non-pressure, it’s more a phrase to let you know that almost no agitation is being performed to your shingles during the cleaning process. Almost all companies that perform pressure washing fall under the soft wash pressure washing category. If they have the equipment and the knowledge, they will probably be using the soft washing pressure washing method. There are times when a higher pressure method should be used, and is acceptable to be used. This higher pressure method is more commonly used on concrete and brick. Even with this higher pressure method, the real work to be done is in the cleaning chemicals used. Chemistry is the main element in soft wash pressure washing. In the market today, there is a cleaning solution for just about any surface imaginable, and choosing the right cleaning compound for the surface you are cleaning is the real trick. Many cleaning solutions all but guarantee their product can clean your surface, but many fail to do so and you can waste lots of money on these low grade products. Crosby Pressure Washing recommends you hire a professional like us, that have the key ingredient to perform any soft wash pressure washing project. That key ingredient is knowledge. 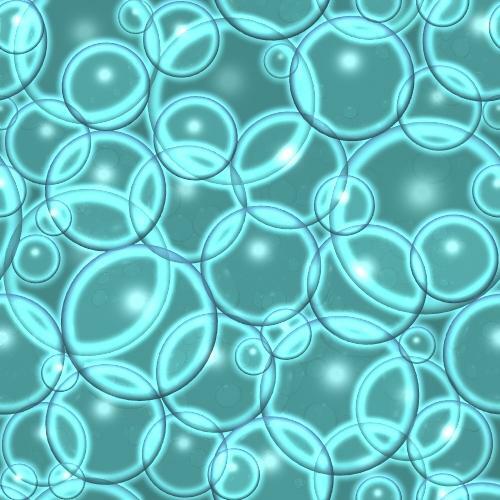 With the years of experience, we have determined what cleaning chemicals work, and which do not work. By the time the typical homeowner spends their time, and money on several different products, they could have easily hired a professional to come in get the job done quickly and effectively the first time. If you hire a cleaning company to clean your exterior and they do not plan on using any cleaning chemicals, this is a sign that they have no experience or someone that has no care to do the job correctly and accurately. If this is the case, feel free to call Crosby Pressure Washing for a free estimate, or even to ask questions. We at Crosby Pressure Washing are always here to help you 24 hours a day, 7 days a week. 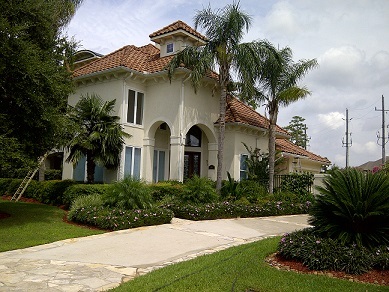 How do you know if your property needs exterior cleaning? 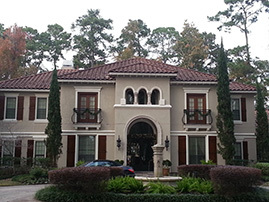 Here in the Houston and Crosby areas, it’s pretty obvious when exterior cleaning is needed. You get a buildup of mold, mildew, moss, algae, and lichen on everything outdoors caused by the humid weather and hot summer months. Along with the mold, mildew, and algae come bug infestations on the exterior of your property. Let Crosby Pressure Washing battle these elements before they get any worse! Call Us Today! Think you can clean it yourself? Buying a pressure washer from a home improvement store and diving into the project of pressure washing, power washing, soft washing pressure washing, and roof cleaning is not as easy as you think. Without lots of experience, and the key knowledge of cleaning with a pressure system, you can damage what you are trying to clean costing you lots of money. Worse off, you can damage yourself by falling off a roof, cutting the skin with the high pressure, or worse. We at Crosby Pressure Washing always suggest you let the professionals perform your work that you are not familiar with.